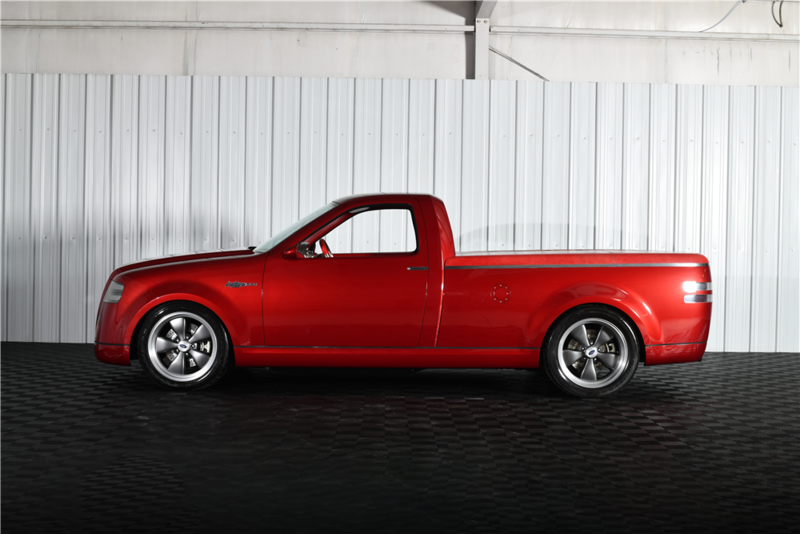 Automobile auction powerhouse Barrett-Jackson has added another gem to its January Scottsdale auction: a 2001 Ford F-150 Lightning concept. Sadly, this unique F-150 Lightning concept will be auctioned as a non-drivable collectible. According to the listing, the truck does run and drive, but it was never certified with the Department of Transportation or the Environmental Protection Agency (EPA), which means that it's not even eligible to be titled. The truck itself is visually very different from the one that came off the production line back in the day. 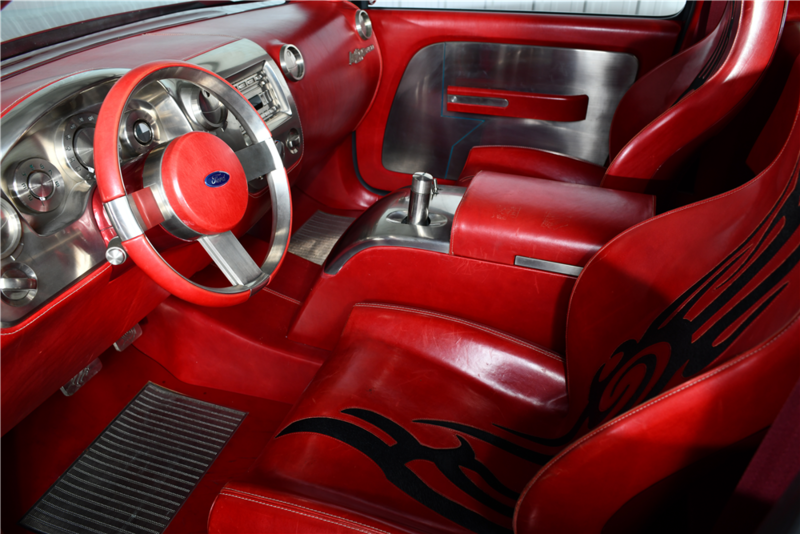 It was built to cater to the retro-rage of the late 1990s and early 2000s, much like the Chrysler PT Cruiser. 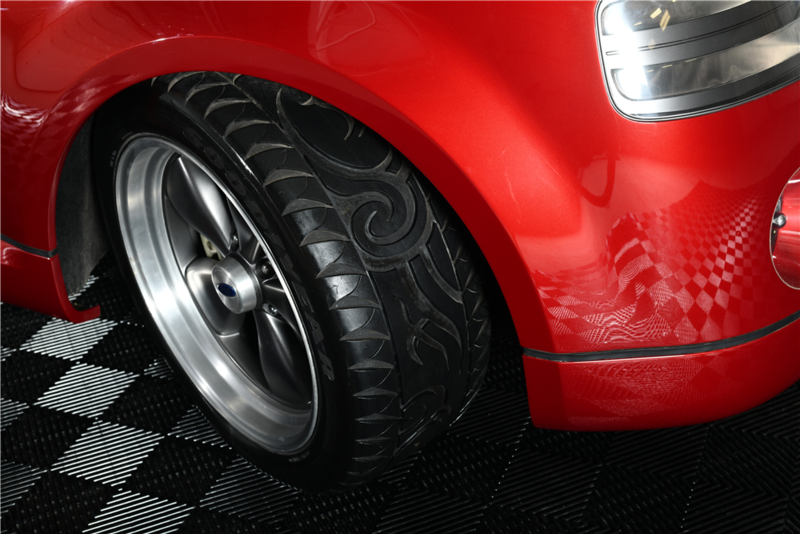 Heck, it’s even got a tribal pattern in the seats and on the tire tread. Has someone made Mike Tyson aware of this? We certainly hope so. In addition to the differences in appearance, this concept truck has a 5.4-liter V-8 but it's missing the iconic Lightning supercharger, so it doesn't put out the same 380 horsepower as the production truck once did. 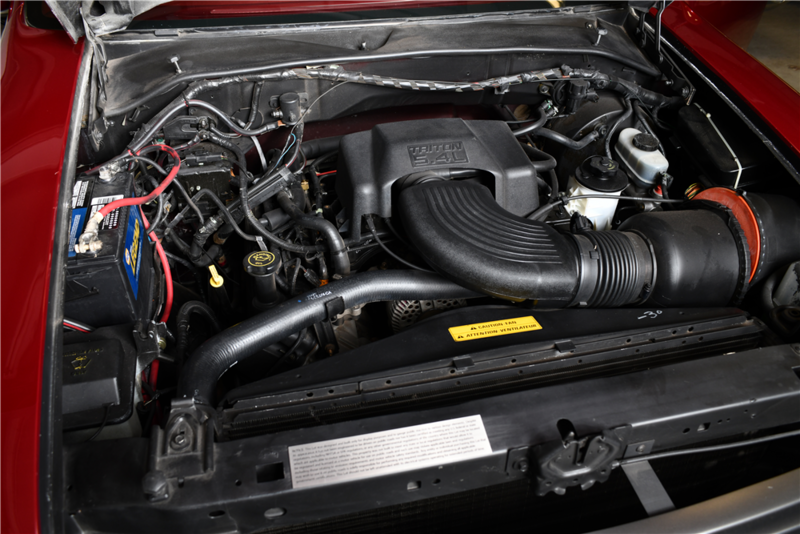 The horsepower rating of the naturally aspirated engine is likely closer to the 260 horsepower and 350 pound-feet of torque of the normal 2001 F-150 equipped with a 5.4-liter Triton V-8. Lastly, this lonely concept takes us back to a time when a four-speed automatic got the job done—reminding us how crazy 10-speed transmissions sound nowadays. This is the second time in recent years the concept has changed hands. According to Motor Authority, the truck was sold in 2012 through RM Auctions for $46,200. There’s no reserve or price estimate on this truck at the time of writing, but it’s a safe guess that it will sell for more than it did in 2012. Being able to buy the concept truck is a double-edged sword. On one hand, it’s rare for a concept to ever leave the manufacturer's own vault and head into a private garage. On the other hand, there's little appeal for someone to buy it because it can't be driven, and who knows if it may appreciate over time. In the end, it will simply be a cool toy that a Ford truck aficionado may drive around his or her own property.